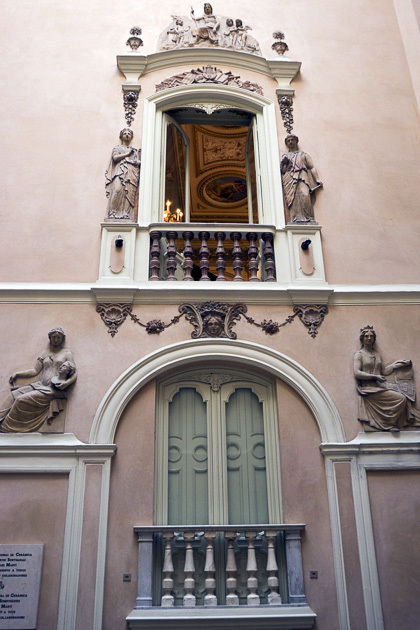 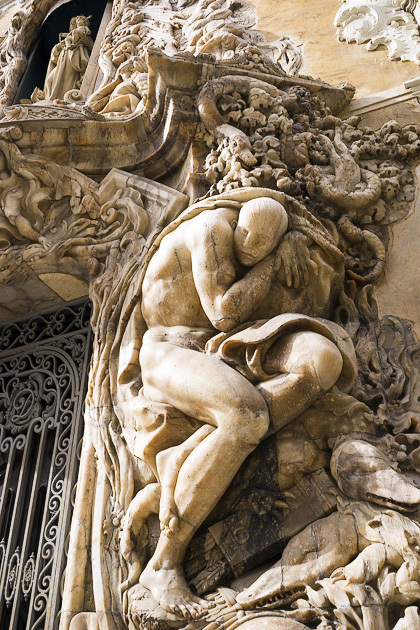 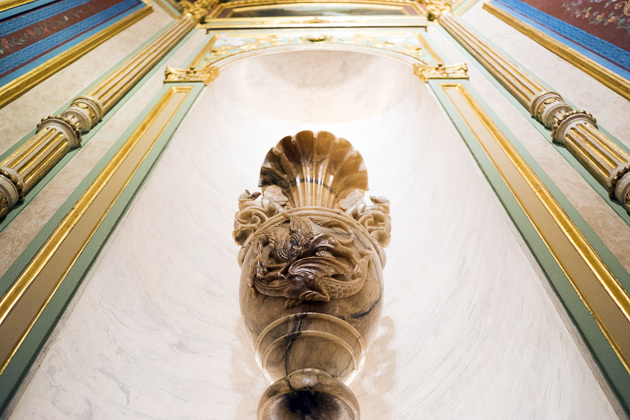 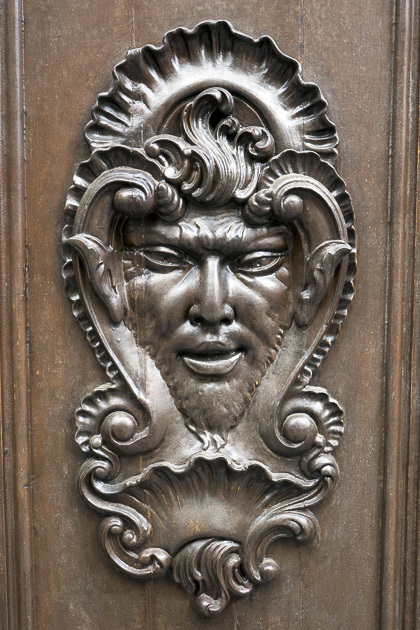 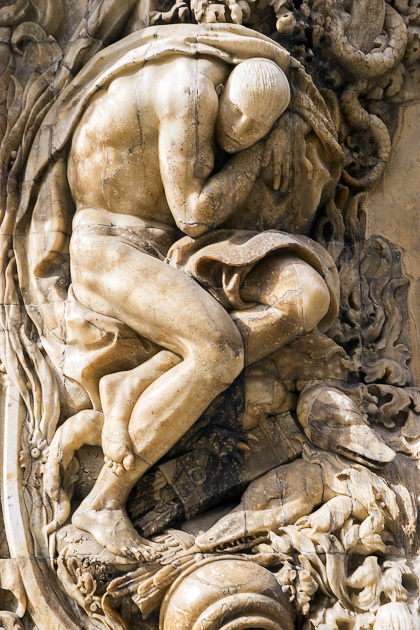 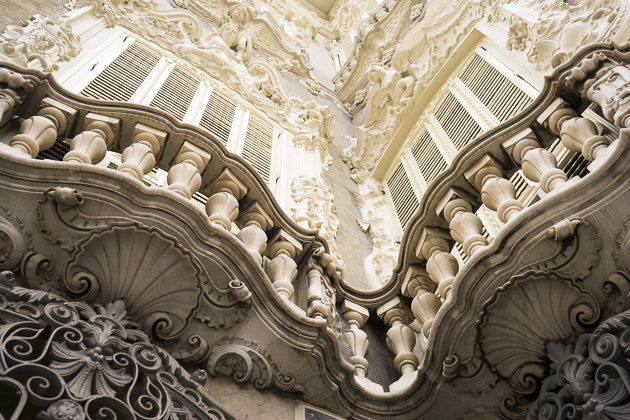 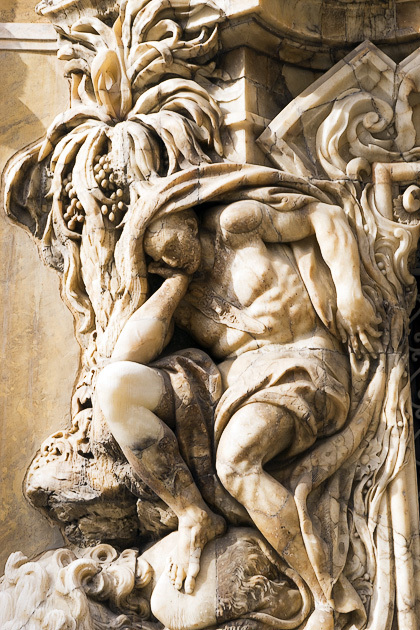 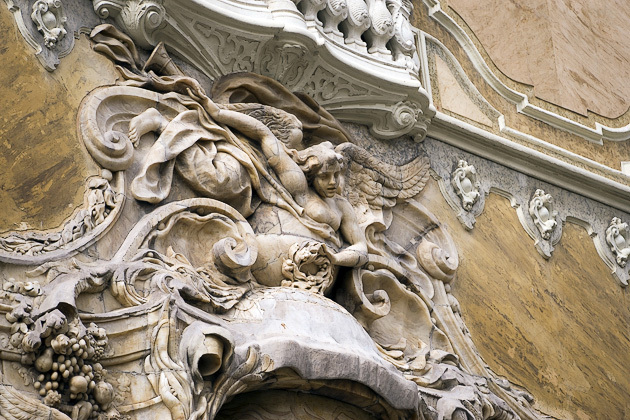 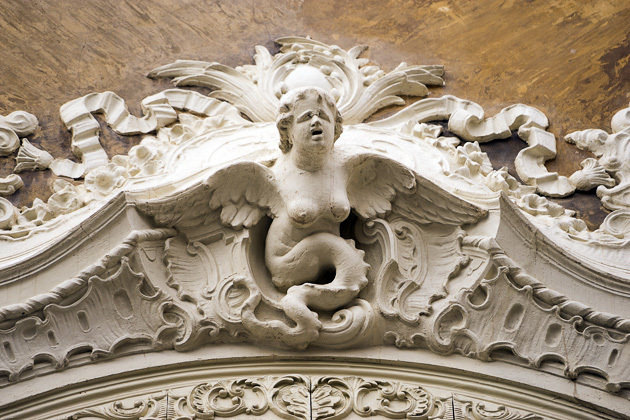 A lot of historic buildings in Valencia have beautiful doors, but the grand prize must go to the marble entryway of the Palacio del Marqués de Dos Aguas. 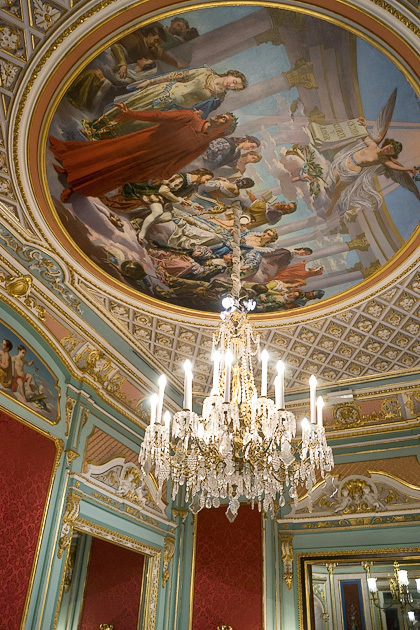 This palace is among the top sights in Valencia, having been fully restored and retaining much of its original furniture and decoration. 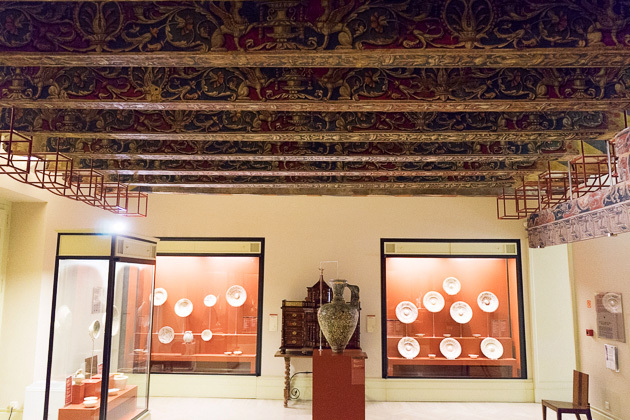 It’s also home to the González Martí National Museum of Ceramics and Sumptuary Arts. 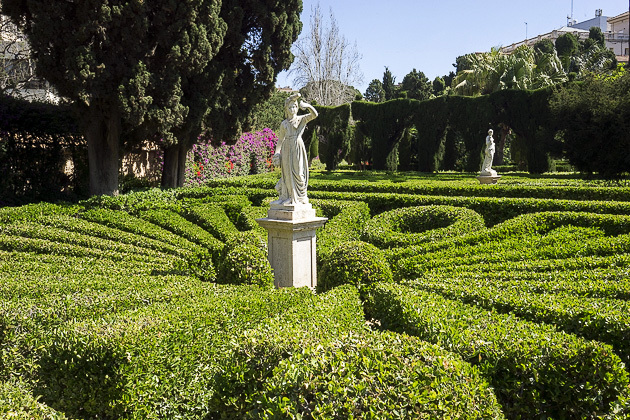 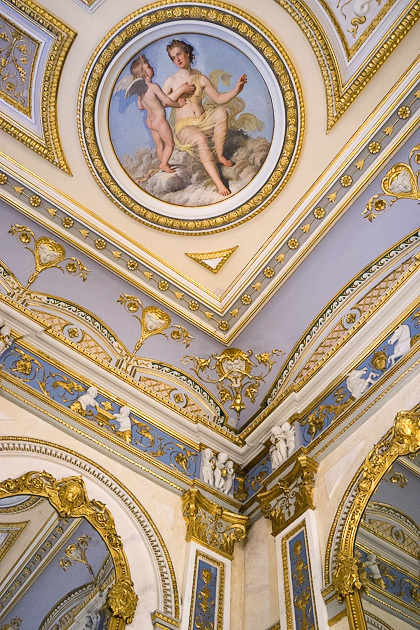 The palace was constructed in 1750 for the Rabassa de Perelló family, who held the title “Marqués de Dos Aguas.” As owners of the important “Dos Aguas” estate in the fields southwest of the city, the family was wildly wealthy, and spared no expense for their urban residence, employing the kingdom’s most exalted artists and architects in its construction. 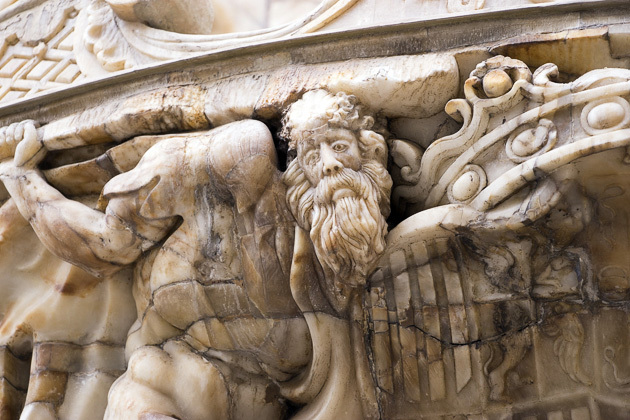 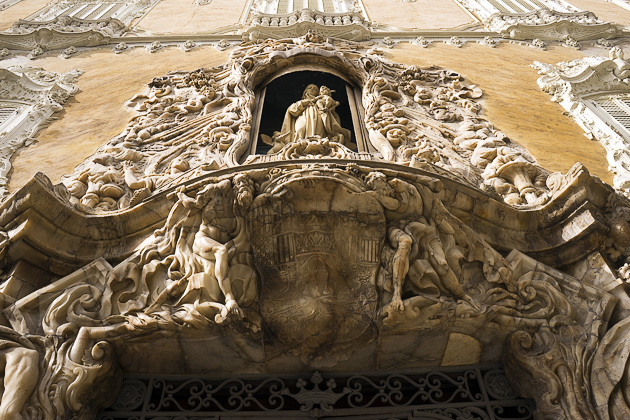 It’s impossible to walk past the palace without stopping in stunned silence at the elaborate alabaster sculptures which frame the principal entrance. 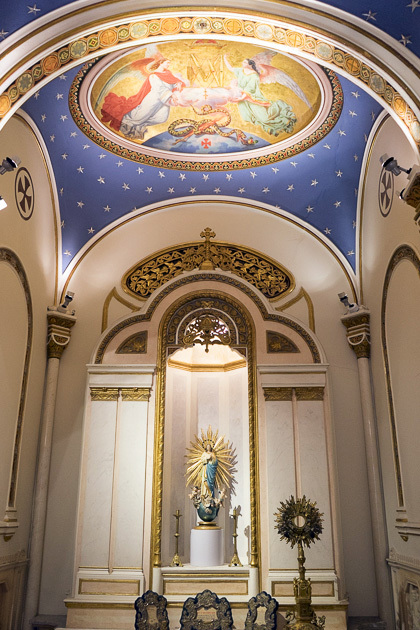 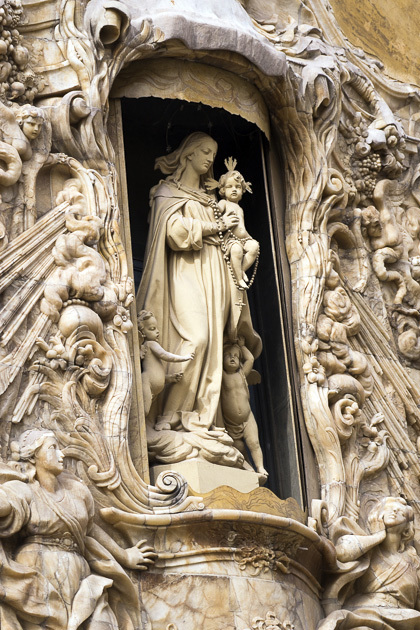 A statue of Our Lady of the Rosary stands above the door, while two rivers (symbolizing the “Dos Aguas” of the family’s title) cascade down either side of the niche. 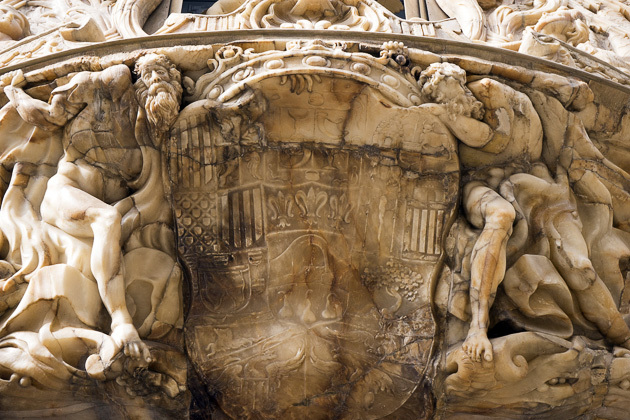 Closer to the ground, two buckled-over giants are supporting an intricately decorated scene of trees, leaves, fruits, animals, the family crest and abundant waters. 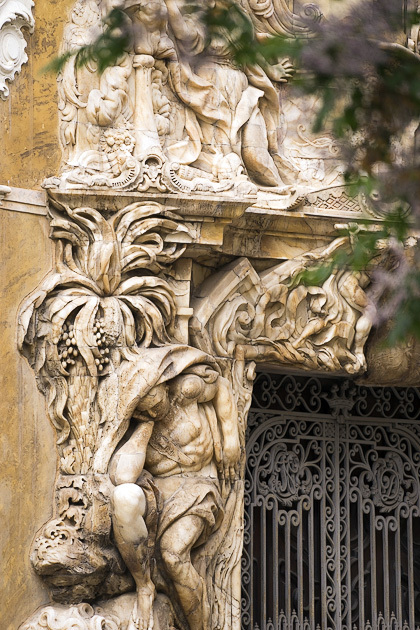 We’ve noticed that people will stop and take pictures of the entrance gate, but then continue on their way without venturing into the palace itself. 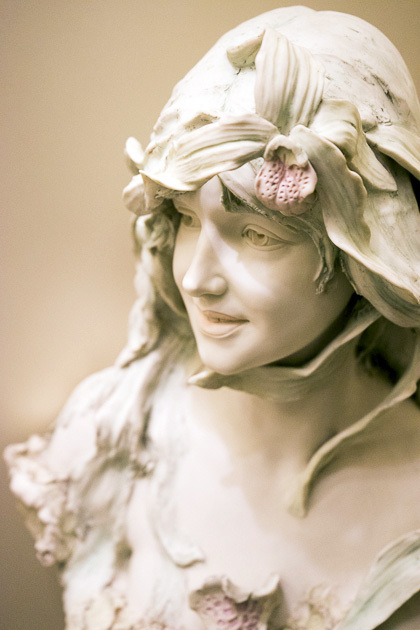 This is a mistake. 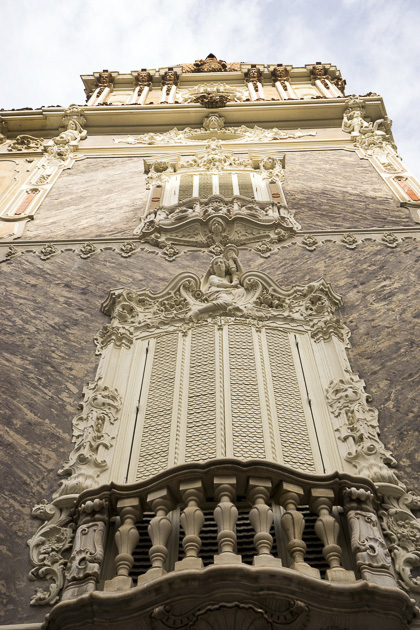 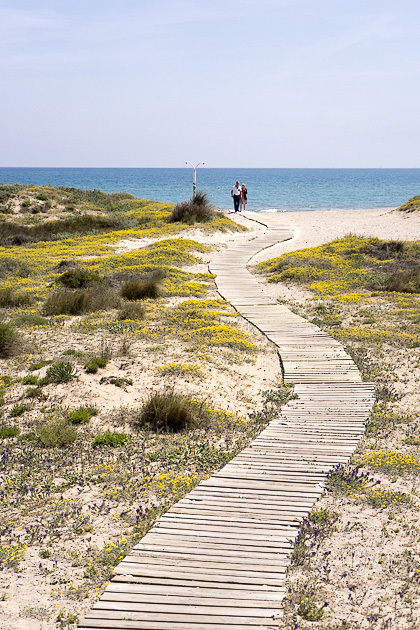 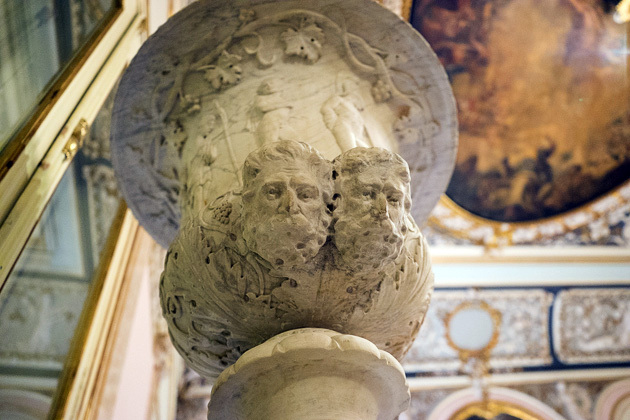 The interior of the Dos Aguas is one of the cultural highlights of Valencia. 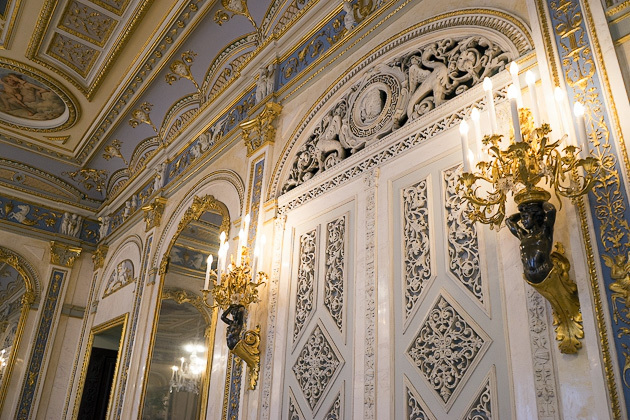 The palace consists of four floors arranged around an interior courtyard, and feels much bigger than it looks from the outside. 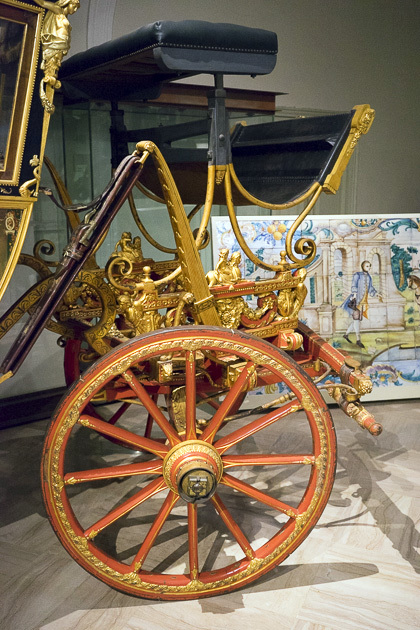 Stationed in the patio are a few of the family’s original carriages, each one a work of art. 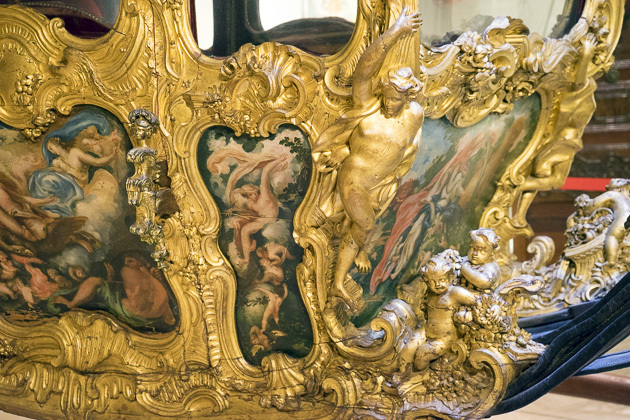 I can just imagine the Lady and Lord Marquis cruising the streets of Valencia in their comically extravagant “Carriage of the Nymphs.” I’m sure they were received with the same 30/70% mix of jealousy/disgust I feel toward today’s elite preening on their billion-dollar yachts. 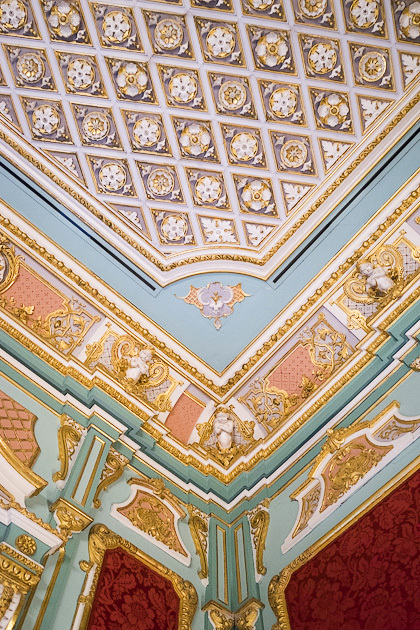 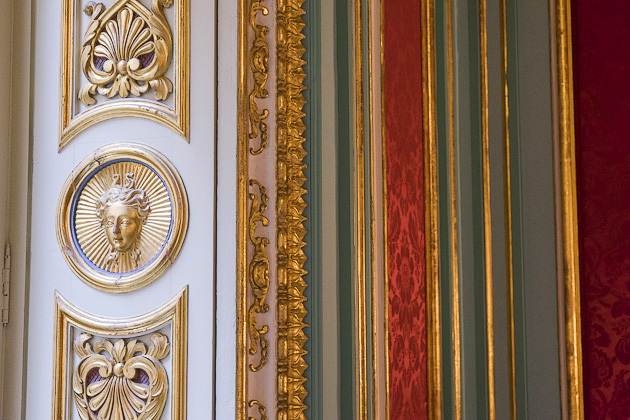 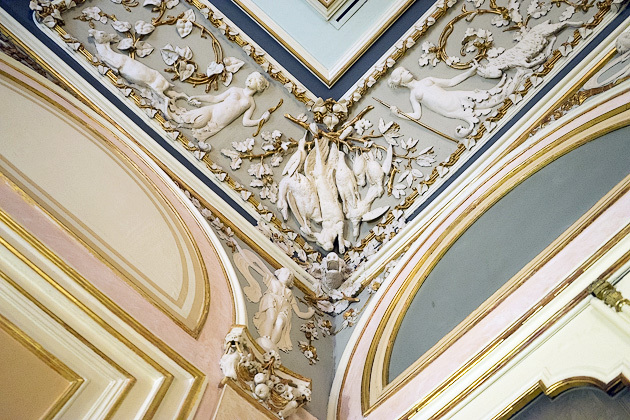 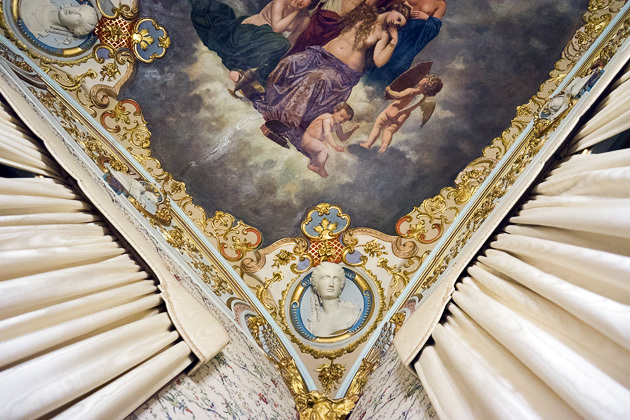 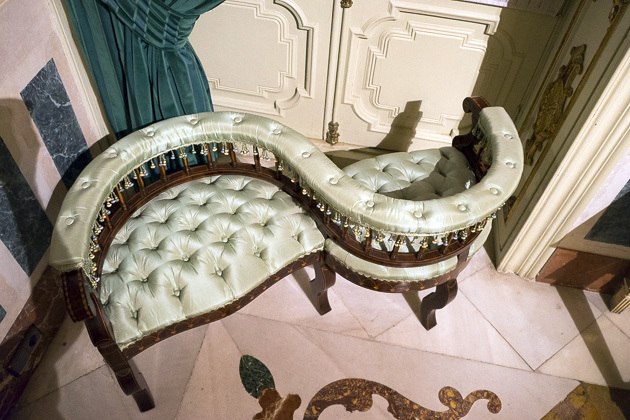 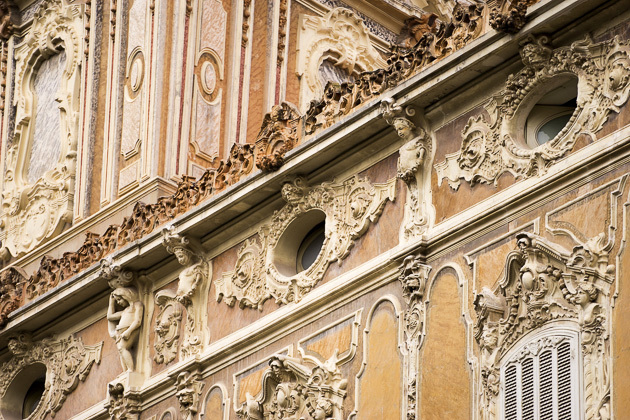 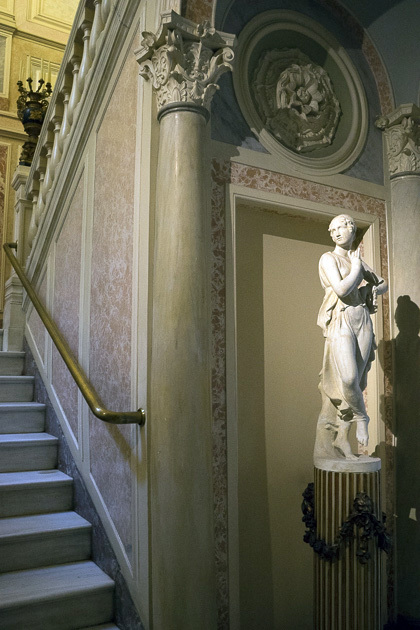 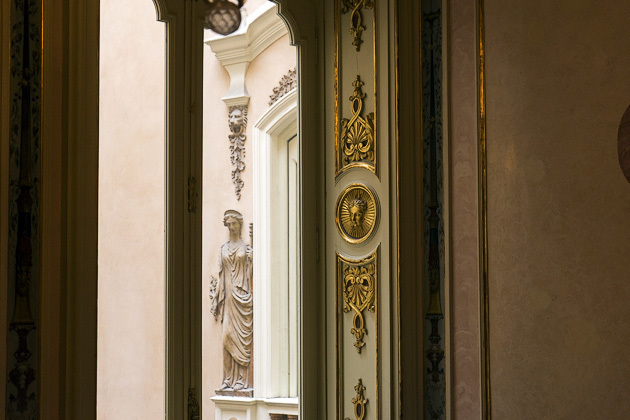 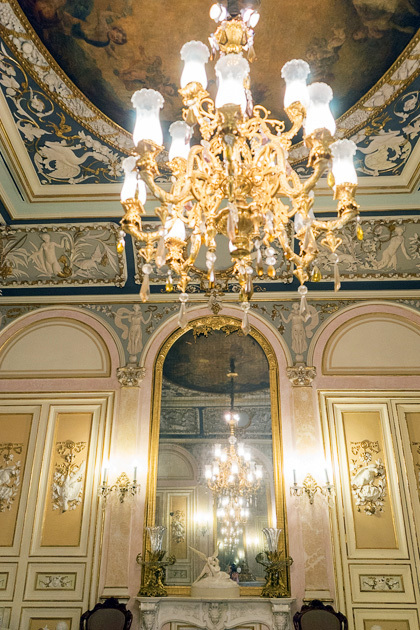 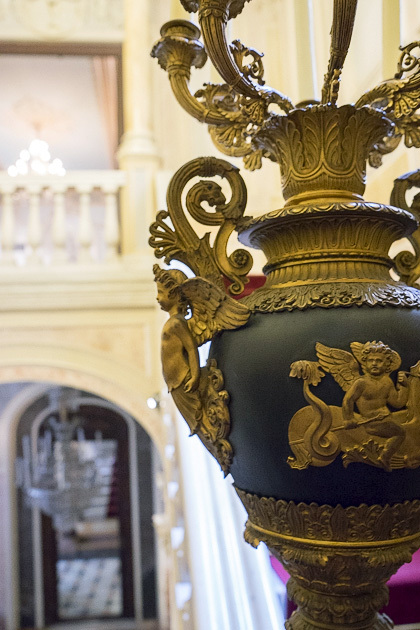 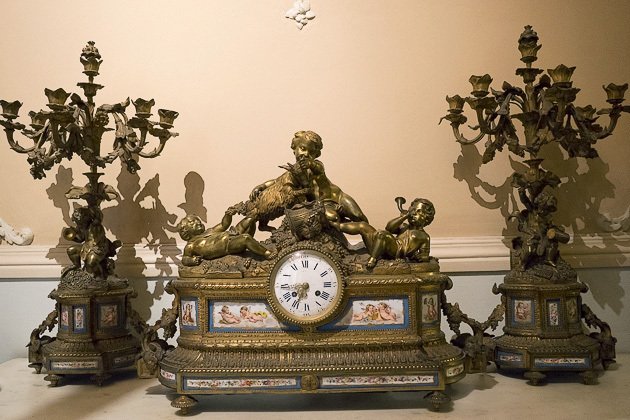 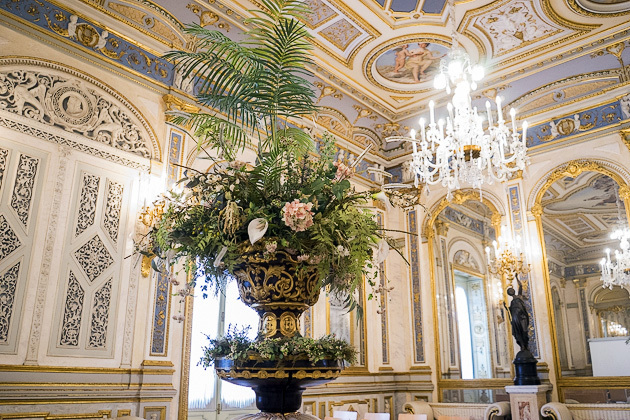 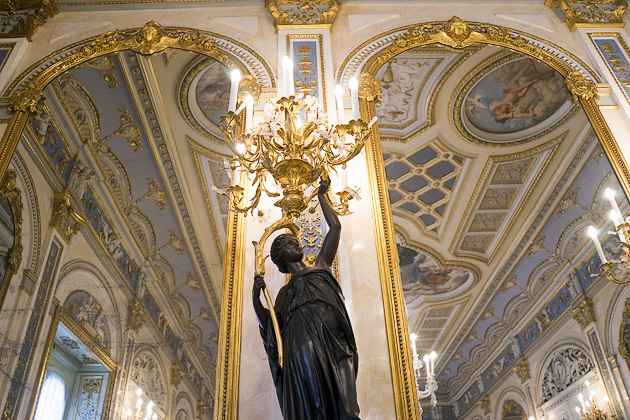 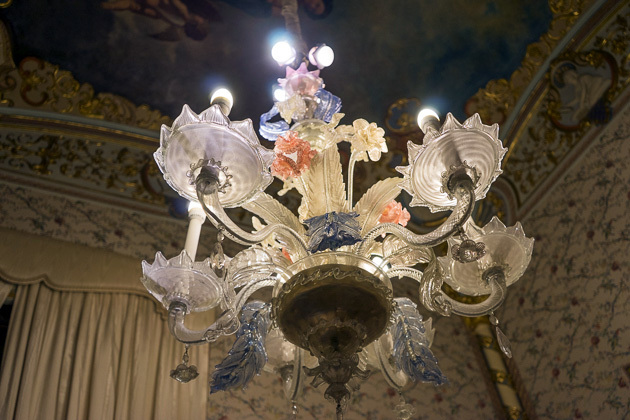 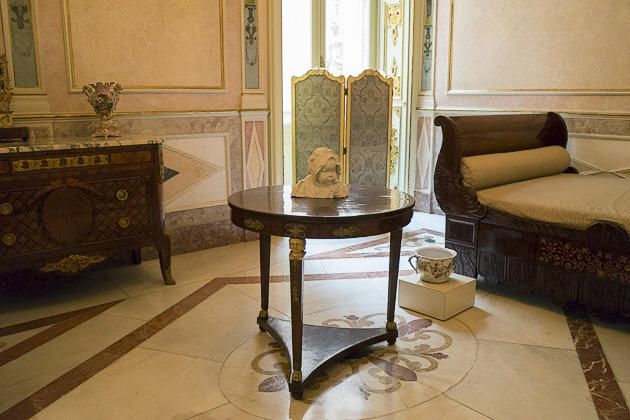 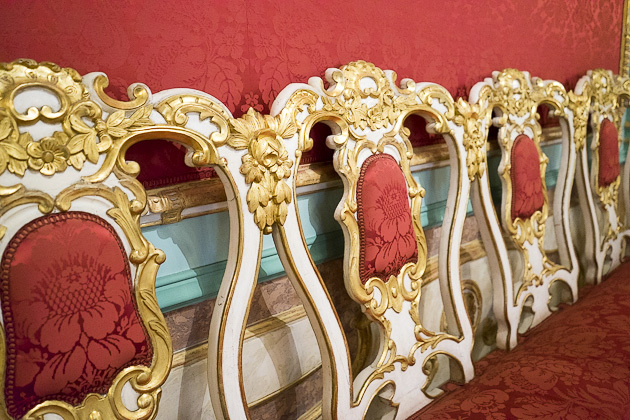 On the next two floors, the original decoration and furniture of the palace have been perfectly restored. 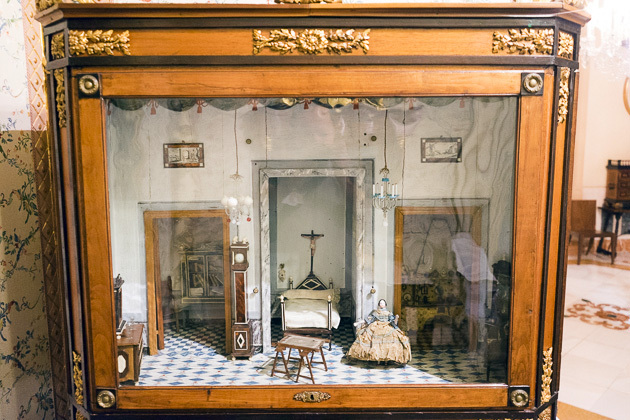 There are about twenty separate rooms you can visit, such as the ballroom, the oratory, the smoking room, the kitchen and the boudoir. 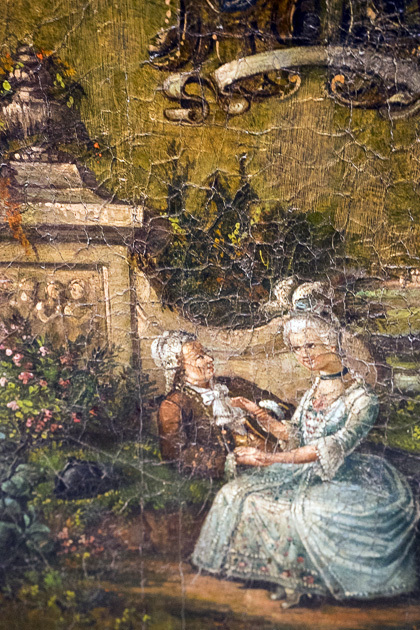 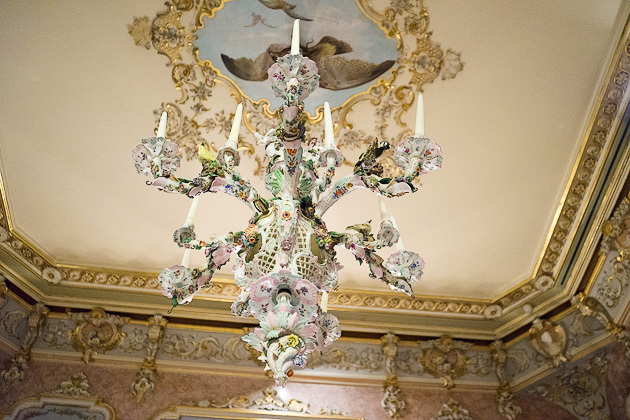 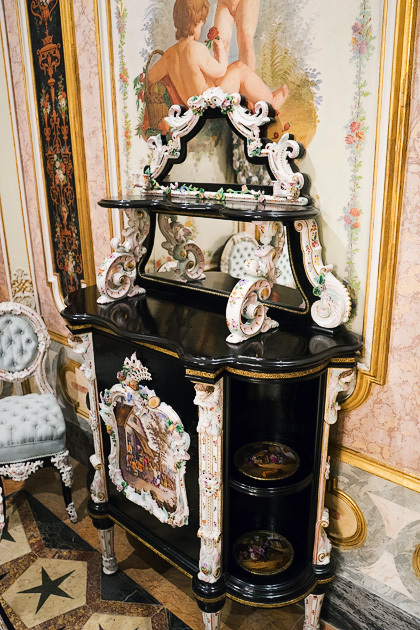 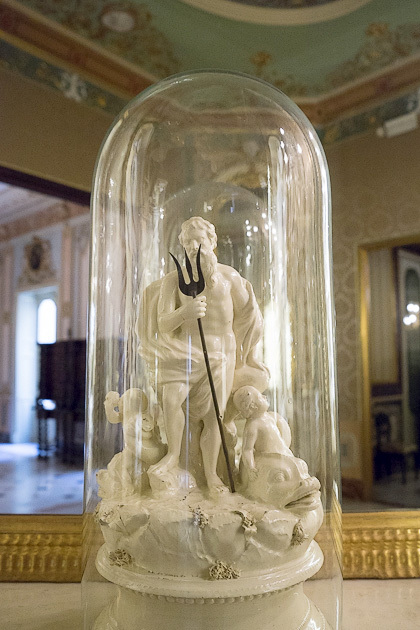 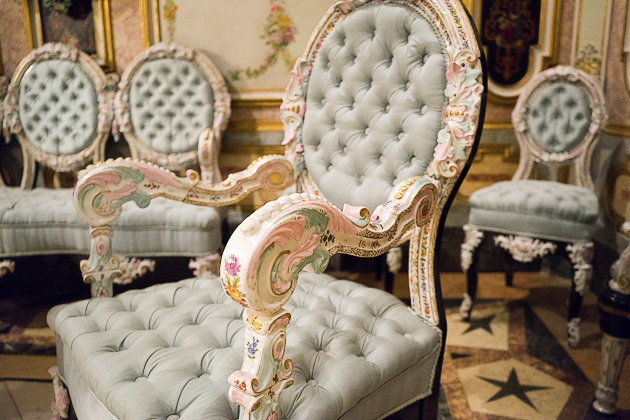 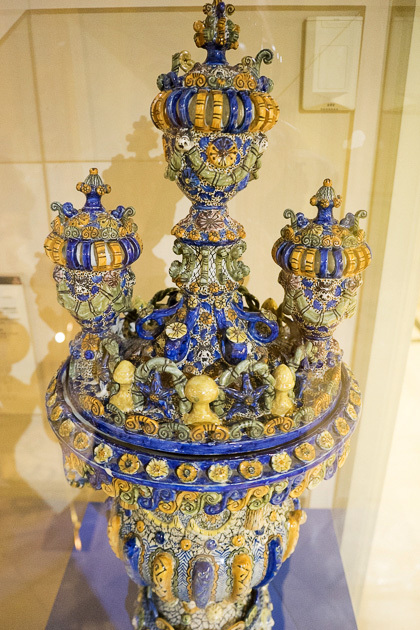 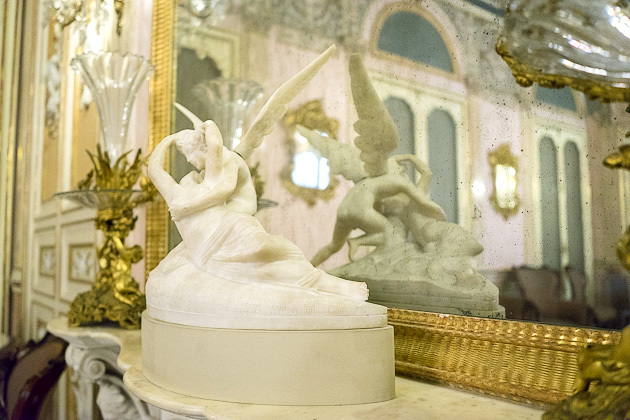 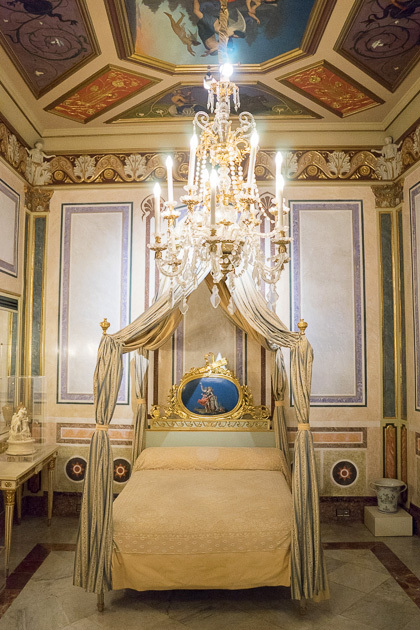 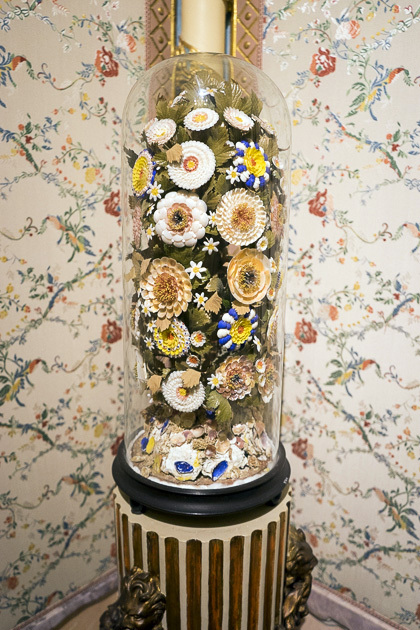 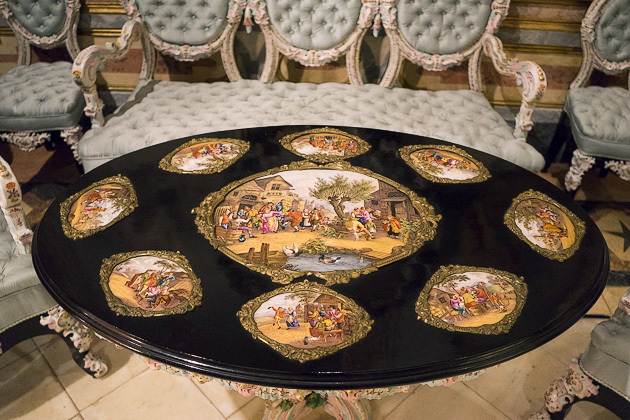 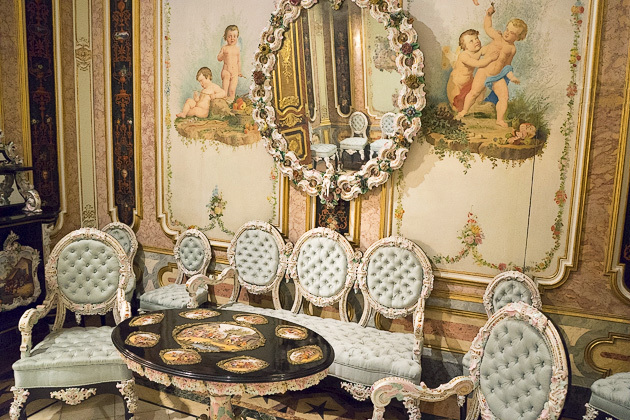 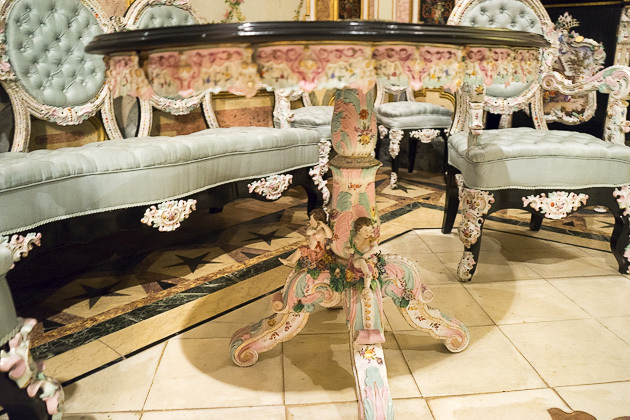 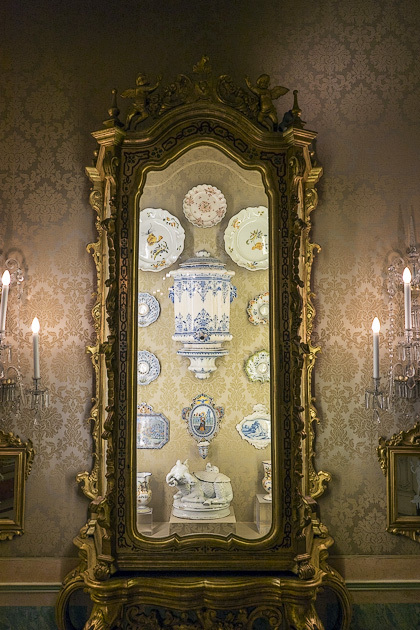 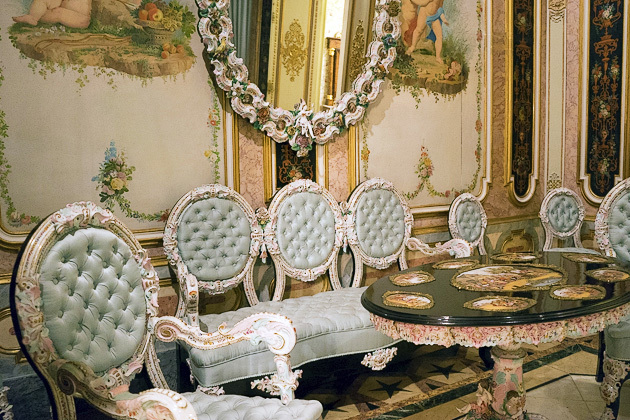 One chamber is called the “Porcelain Room,” because almost everything inside is made of finely painted porcelain, including the chairs, the lamp, the bed frame and the mirror frame. 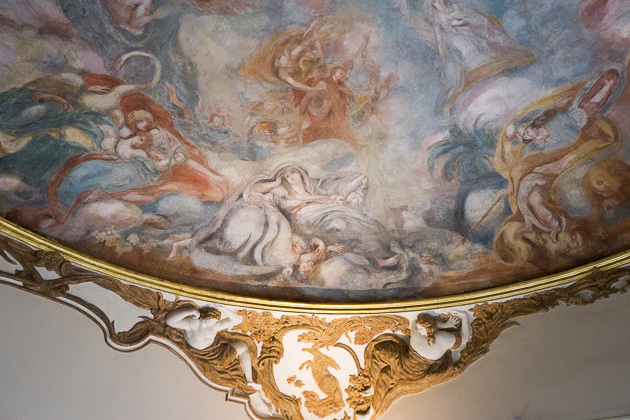 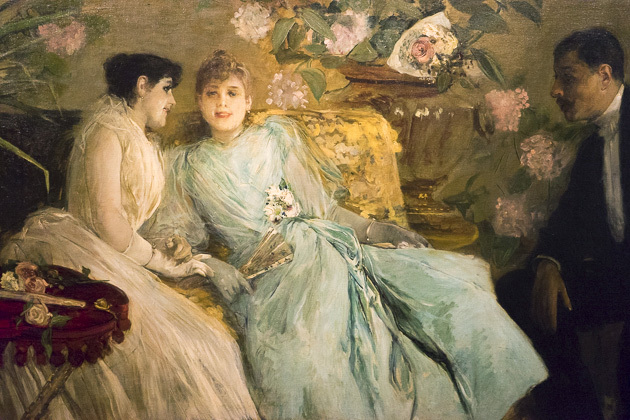 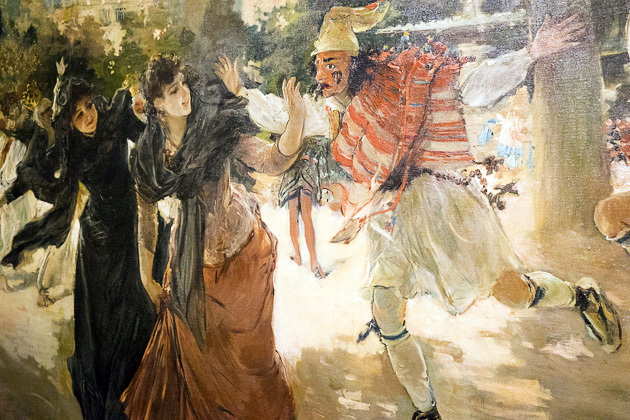 And there’s also a room filled with paintings from the Valencian artist Ignacio Pinazo. 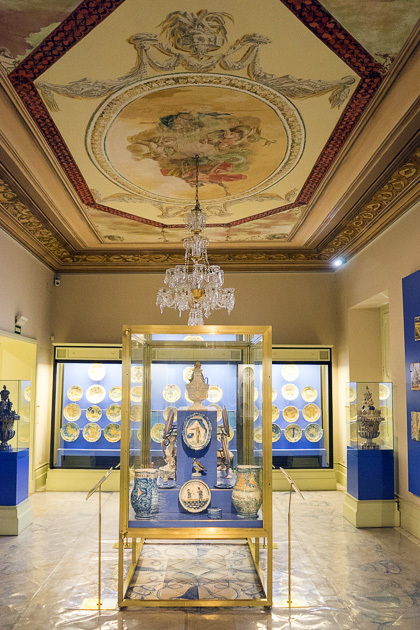 The Ceramics Museum on the palace’s top floor almost feels like an afterthought, but deserves more than a cursory look. 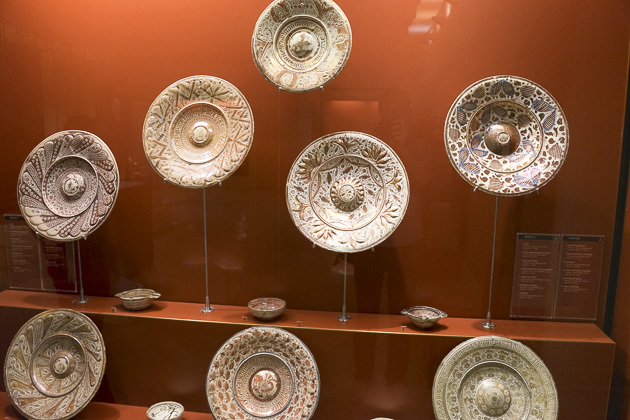 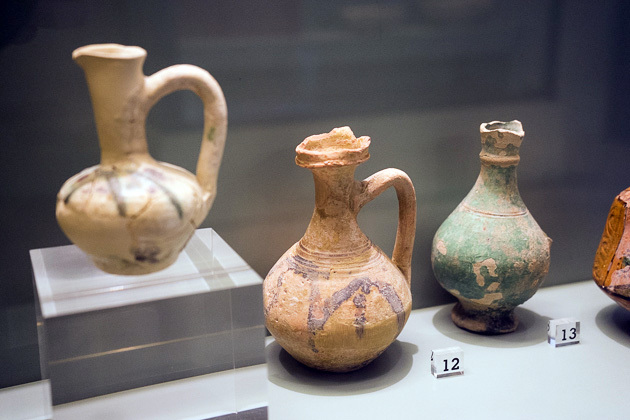 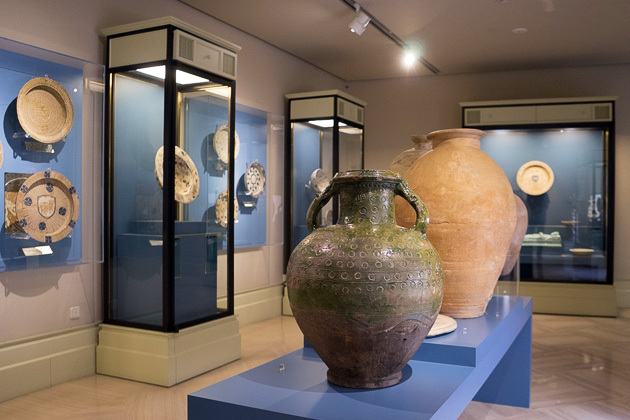 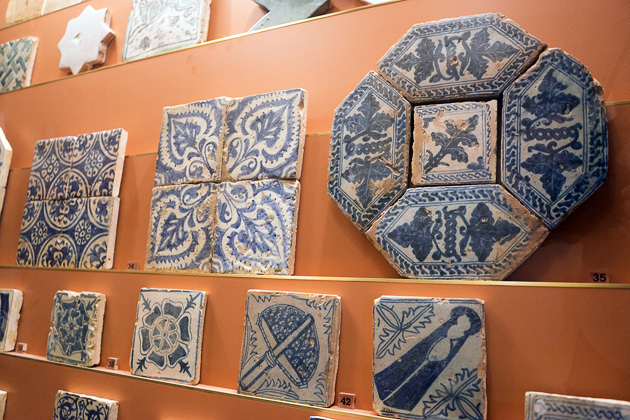 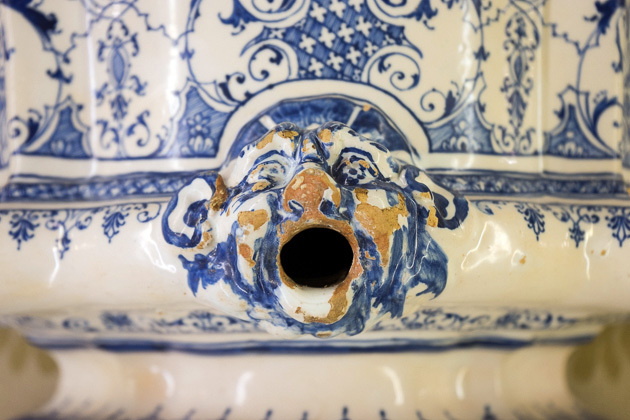 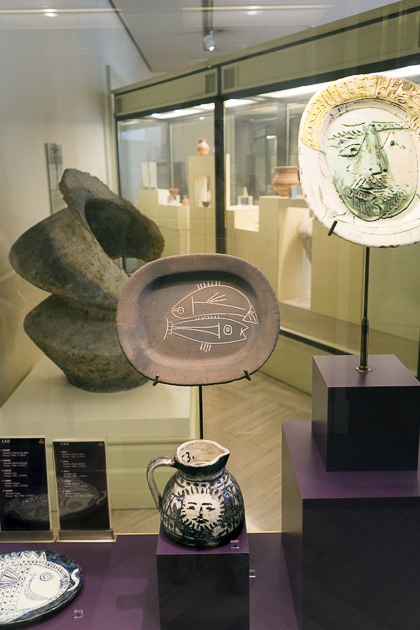 Valencia has long been famed for its ceramics, and the exhibits in this museum take you through the entire history of the art form, from the time of the Moors to the present day. 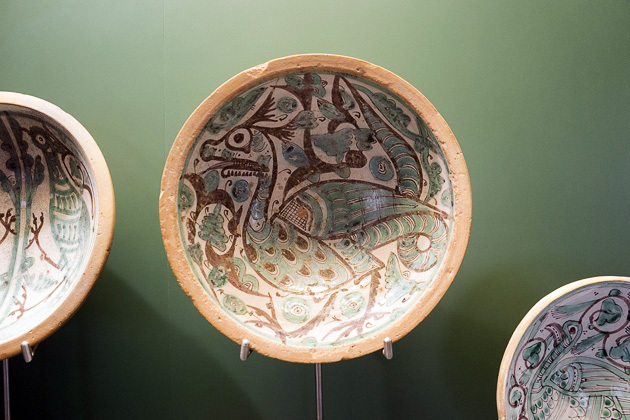 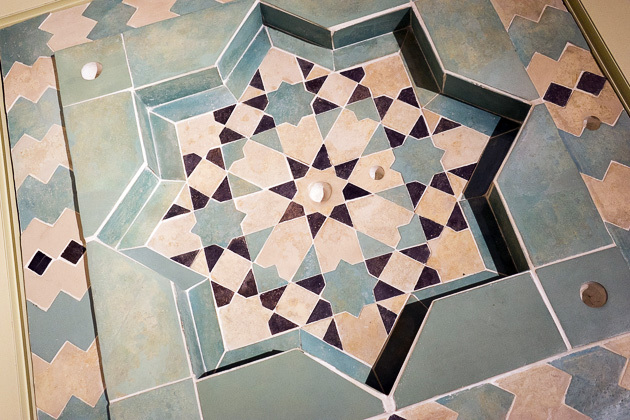 There are porcelain plates, ancient vases, hand-painted tiles, and even a couple of pieces designed by Pablo Picasso. 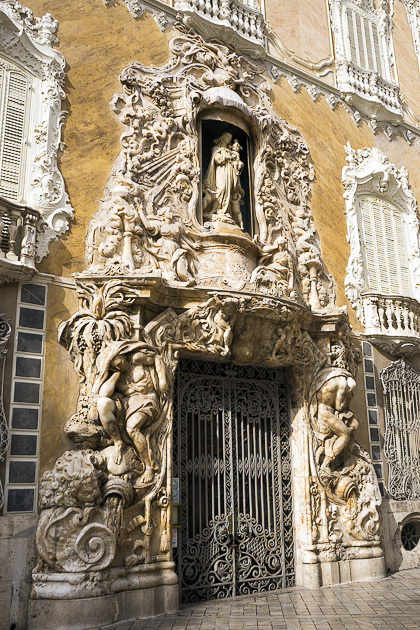 The Palace of the Marqués de Dos Aguas A lot of historic buildings in Valencia have beautiful doors, but the grand prize must go to the marble entryway of the Palacio del Marqués de Dos Aguas. 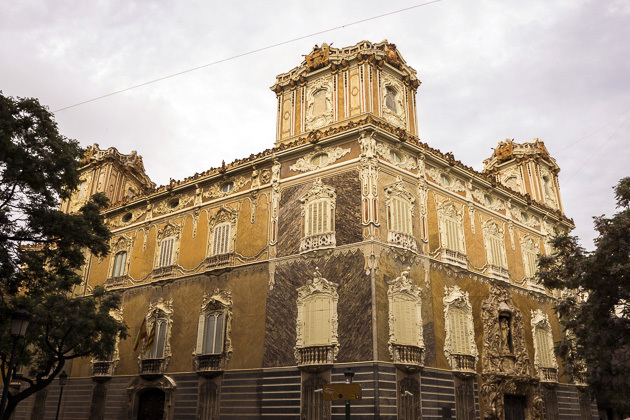 This palace is among the top sights in Valencia, having been fully restored and retaining much of its original furniture and decoration. 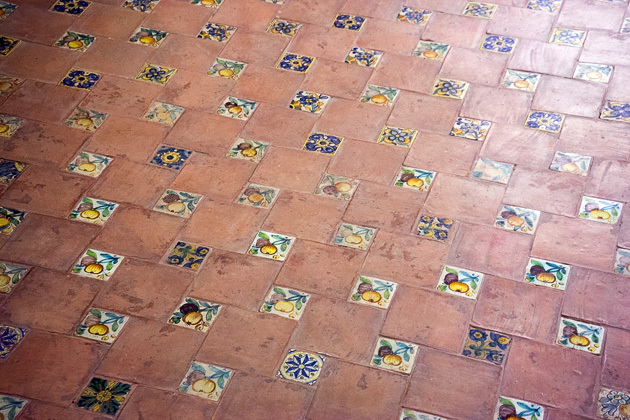 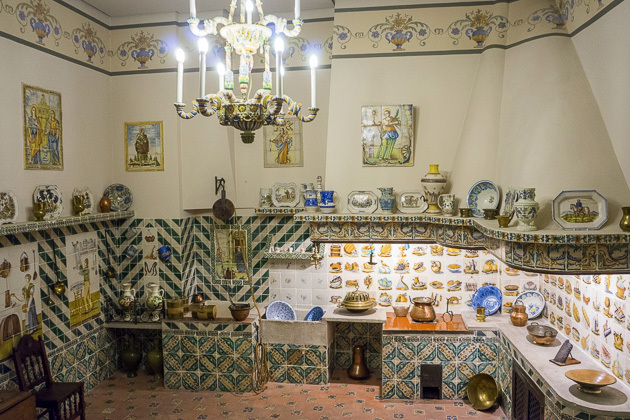 It's also home to the González Martí National Museum of Ceramics and Sumptuary Arts.